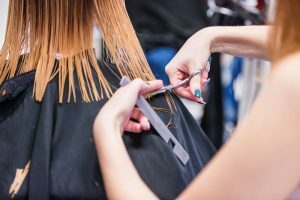 For most women that desire to have longer hair, regular trimming may not sound like a great option because it would work directly against your goal of growing your hair out longer. Contrary to that, periodic trimming of your hair has many benefits that you’ll probably be quite excited about, we discuss them all below! One of the common challenges women with long locks have to deal with is split-ends. This has been attributed to the breakage of the hair cuticle by experts, aka the outer covering of the hair. As the hair grow longer, the cuticle likewise weakens and would eventually break from the additional stress. This leaves the strands of the middle layer unprotected. A significant split-end start at the tips and will move up if you don’t cut if off. The only solution to this is to trim your hair regularly. It also pays off to visit a professional hair stylist such as Clayton Hair Salon because they can suggest styles which complement the shape of your face as much as possible. Are you aware that cutting off damaged ends is the best way to make your hair look healthier and more gorgeous overall? Your stylist may also recommend you some treatments so as to rejuvenate your hair and prevent split ends for longer, like moisturizers or protectants. It also helps to apply conditioner regularly and use organic hair care products, and you should always try to avoid styling your hair with a heating iron or any other very abrasive hair treatments. 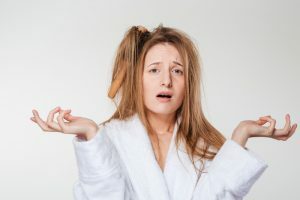 Doing all of these things will have great results for your hair, even just not using damaging things like heating irons will go a long way towards your hair looking better. When you get your hair cut regularly, you’ll make room for and also enhance healthy growth of your lovely locks. Additionally, hair on the ends thins out over time making the entire appearance of the hair look thin and dry. Your hair will look more full and healthy, and you’ll be able to prevent single strand knots which is a natural occurrence for some kinds of hair. It prevents dreaded dead hairballs: That is just dead hair hanging out on your split ends. Because the ends are frayed like a broom the dead hair gets caught up and forms a ball making detangling your hair more challenging and honestly just looking bad overall. 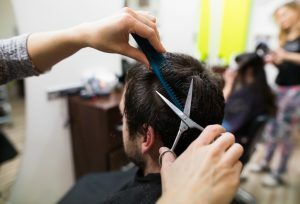 Getting a trim will help you retain the length due to the reduction in hair breakage as well as split ends. When you have split ends and don’t take care of them, the split would travel up the hair shaft and stunt the growth of hair. Having entirely healthy strands of hair means that they’ll be able to grow more, and grow faster! So even if you do start out a little shorter, chances are good that you’re going to quickly make up for it.